Dacre Stoker talks with Oliver Giggins prior to his lecture at the Edinburgh Horror Festival. Dacre and J.D. 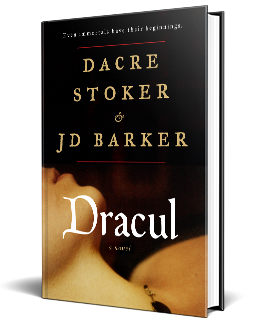 Barker are headed to Dublin, Ireland to give a tour to French, Spanish and Irish media of sites associated with Bram Stoker’s life and also places where they set the drama in Dracul. Dacre will be giving presentations in London October 20th to the 25th and in Edinburgh on the 26th and 27th. See all Dacre’s events.